As a Chama founder, you are the leader, the one who makes sure everything runs smoothly plus you are the one who decides how to run your particular Chama. Truth be told, this role can be tiring. What can be even more difficult is getting the best out of your Chama. Inspiration isn’t always easy to come by, and there are some days that the entire Chama is demoralized. That is when it is up to you to get their spirits up and motivate them to stick with the Chama. But how do you effectively do that? Here’s how. to support one another, and gain support from you. Moreover, you can trust that if there is a problem that might be hampering their motivation, you can nip it in the bud. For example, are any of your team members worried about the security of their money? Have the investments you have made recently not been yielding profits as expected? Is anyone struggling with a specific aspect of their responsibilities? Maybe there is something intense going on at home that is affecting their Chama meeting attendance. These are all things you should know, because if you don’t you won’t be able to work it out. If it lingers in the background, unspoken and unexplained, it will be sure to damage the overall performance of the Chama. A Chama is only as good as its members, after all. How do you want your Chama to run? Chama members. Sure, there will be work you need to do on your own, while they go about their tasks. But at least get into the habit of getting your hands dirty. Don’t just give orders, but work alongside your Chama members to ease their workload, monitor their progress, and pump up their enthusiasm. For instance if your Chama intends to venture into land investment. Accompany your Chama members to go and see the different pieces of land. Don’t just send them to do it and bring a report to you. Chama members will be more focused and productive when the leader is around. Taking part in the work is a good way to foster a sense of community within your Chama. Inspiration comes from three kinds of questions to be precise. Asking people you lead for help with questions you can’t answer is inspiring to them. It inspires them because it reminds them that you are human, but more importantly that you are humble. The tendency for many Chama leaders is to always have the answer. By trying to always be the smartest person in the room you create an environment where few are willing to speak up. They feel like you are un-teachable, so they keep their thoughts and opinions to themselves. Think of some questions you’re struggling with and ask your team for their thoughts. This will inspire them to solve a puzzle, exercise their minds and make them feel good to know that you’ve asked them for their help. Question your Chama’s Vision and Mission. Next time you feel like stating your Chama vision or mission statement, don’t. Instead, think of some ways to ask people about your vision and mission. For example: Let’s remind each other why we are here. Why do we have this Chama? What would happen to us if we close this Chama? What about our Chama makes you feel like you’re making a difference? As your Chama members answer these kinds of questions, you’ll be amazed at how their stories inspire one another. following: What’s going on in your life that I can help? How are things for you in this Chama? Can I help with anything you might be struggling with? How is your husband after his surgery? What would you like to accomplish through this Chama? When you ask these kinds of questions, resist the urge to give advice. Just listen. Later on you can offer advice or encouragement, but for now simply listen. When you ask people questions rather than making statements you reveal that you care. When people know they are cared for, they feel more inspired. 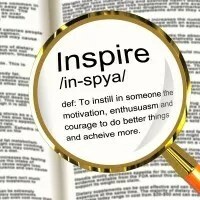 Inspire people with your dependability and commitment to the truth. If you say you’re going to do something, do it. If you say you’re going to be somewhere, be there. If you say you feel something, mean it. If you can’t, won’t, and don’t, then don’t lie. It’s always better to tell people the truth.